Enjoy a Girls Just Wanna Have Fun kind of Party! Are you looking for an affordable and different kind of party for birthdays, proms, bridal and baby showers? Book a party at Sensationails. 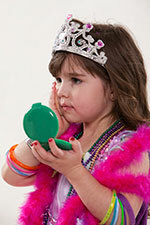 Makeover parties are fun for all ages. Amenities and activities include sparkling refreshments when you arrive, mini mani's and pedi's, a style/updo and a mini makeup session. You are encouraged to bring in food/cake and supplies for your party (plates, napkins, balloons and your camera) Let us know if you want to drop anything off ahead of time. Dress up in your favorite outfits and don't forget to bring your cameras! Call us today!